Nothing made sense any more to me. 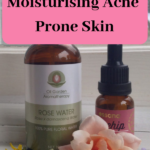 Everyone said oil or sebum caused acne. My skin felt like parchment paper. I had no idea what happened to the sebum as my face felt it was as dry as the parchment. How was I getting more and more acne when my face felt so damn dry? One day I had had enough, so I just stopped using the face wash. No way could I subject my skin to any more of the face wash. 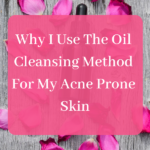 I looked up the Oil Cleansing Method online and how it was done. I used some jojoba oil I had with me. My face felt supple and a little greasy after and also a little dry in places. But it was nothing like the tightness I used to feel when I used the face wash. I waited a week to try it again, as I wanted to see if I would break out. After all, I had been warned never to use oil on my face as it would cause acne. I used plain water to wash my face for the rest of the week. A week later my face looked and felt much better. I learnt 2 important things that day. One, you do not need to wash your face with soap every day unless you have been working in a coal mine. And even then oil will help you get rid of the dirt much better. Second, is that there are other options other than face wash to clean your face. I used to have a face wash in my bathroom, you know, just in case. But I just realised the other day that I have not owned a face wash in 2 years now. The last time I used a face wash was in 2014 when I had to remove the heavy makeup I had used for a wedding. Even then I had used oil first to get the makeup off. So since I am prone to acne and that too cystic acne, I had always thought that using any oil on my face would lead to a breakout. So I was pretty surprised when not only did I not break out, my skin seemed to be getting better. The results were completely opposite to the popular misconception that using oil on your face can cause acne. 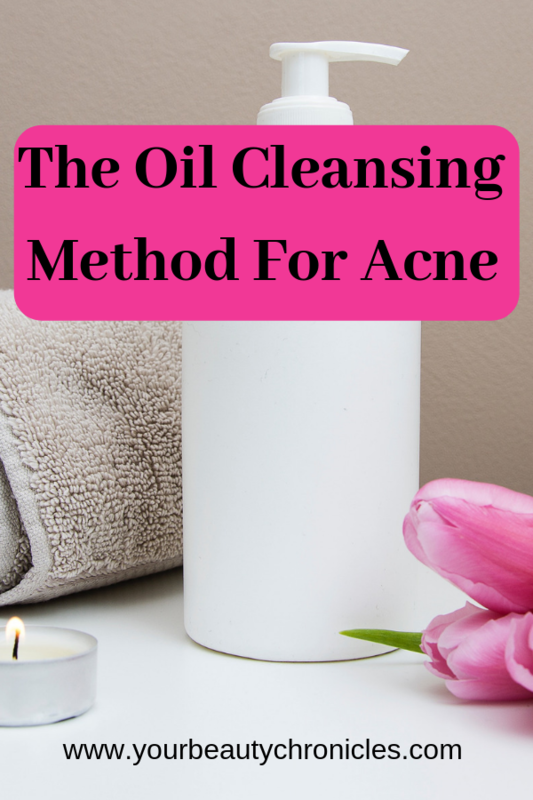 Why was my acne healing after using oil to clean my face? I had been told time and time again that oil caused acne and I was not to touch my face with oil of any kind. The reasoning behind using oil to clean your face is that oil dissolves oil and it is better equipped to deal with the pores that are clogged with oil. Let’s get something clear first. Acne may be caused by pores blocked by sebum (oil) but that oil is a small part of a large problem. Saying acne is caused solely by oil is like saying a tsunami is caused by water. Yes, water is involved in a tsunami, but it is not caused by it. Sebum is your friend, rather than your enemy. It keeps your skin looking young, moist, fresh and dewy. When you see someone with great skin, it looks soft and supple. This suppleness is thanks to their oil glands. Also, note that over washing your face with soap leads to excess oil production. Excess oil combined with dead skin cells means acne. So if you have acne and you think that washing your face often will help, think again. You are just making the acne worse. Your skin will go into overdrive and start producing more oil to compensate the oil you are washing off. You need just 3 things to get started with the Oil Cleansing Method. Oil – The best oils to use when you have acne are a blend of castor and jojoba oils in a 1:2 ratio. So for every one teaspoon of castor oil, you need to add 2 teaspoons of jojoba oil. This blend is best for oily skins. Now as we all know you can have dry skin and still have acne. Castor oil tends to be a bit drying. In that case, skip the castor oil and just use jojoba oil. Blend your oils beforehand and store them in a bottle in your bathroom. A soft clean cloth – When it comes to your face, softer is better. Never ever use a rough cloth on your face. Most stores have face cloths. Or you can just use a very soft towel. Hot water – Since you are using oil it would be better to use warm to hot water rather than cold. The reason being that the warmth tends to make oil softer and more spreadable than cold water. For example, you would always use hot water to wash something that is oily. First, if you have active cystic acne please do not try OCM. It would be better to just leave your face as it is and just wash with plain water. Yes, do not even use soap and you’ll be pretty surprised at how much better your face heals. So first tie your hair back so that your hair is away from your face. You may use a shower cap if you want. Splash warm water on your face so that your face is damp and the oil will be easier to move around. Pour about a half teaspoon of oil into your palm. You don’t need to actually measure it with a teaspoon. Just pour an amount the size of a quarter. Apply the oil all over your face and massage it in slowly with your fingertips. Massage in an upward direction. If you have acne leave those areas alone. Remember as I said before you should not try this if you have cystic acne. After you have finished massaging the oil into your face, leave it on for about 30 seconds to a minute. Use this time to dip your cloth into the hot water and rinse it out. Place the hot cloth so that it covers your face completely. This lets the steam open up your pores. Let it sit for about 15 seconds. Take it off and gently wipe off the excess oil from your face. Repeat this step another 2 times. Lastly, splash cold water on your face to close your pores. It may be a bit more time consuming than using a normal cleanser but it will be much gentler on your skin. Start by doing this just once a week. Your skin will get used to it in time. Also, you need to observe your skin and how it reacts to OCM. Your skin may feel a bit strange the first few times you try OCM. It may feel dry or extra oily, this all depends on your skin type. If your skin is extra oily don’t be tempted to wash off the oil. Your skin will adjust soon and stop producing extra oil. It will take a week or 2 for your skin to get used to it. Your skin will balance itself out. It won’t be too oily or too dry. You will have less clogged pores. As with everything and every skin routine or skin product, different people and different skin types react differently. You know your skin best. Observe if this method is working well for your skin or not. I don’t use soap or cleanser on my face. I do the OCM occasionally. What do you suggest I do when I have active cystic acne since you say the OCM is good for cystic-prone skin but not if you have current cystic acne? Thanks. When you have acne it is best to use plain water to wash your face. Your face will heal faster if left alone to heal.